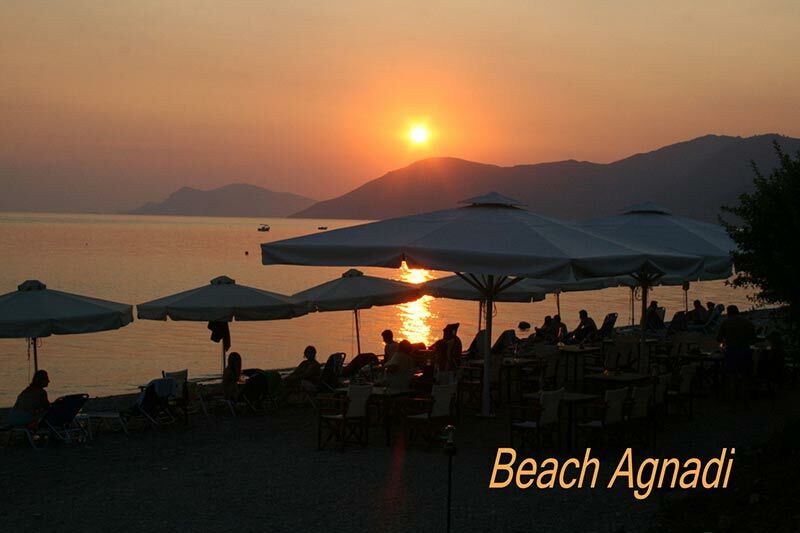 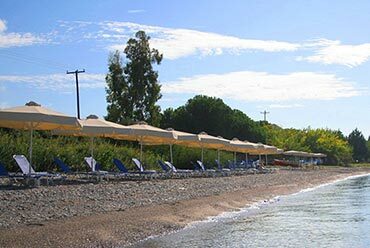 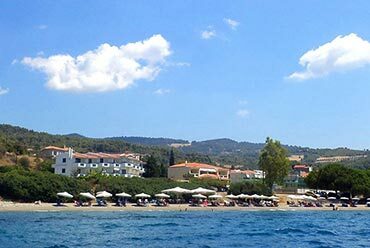 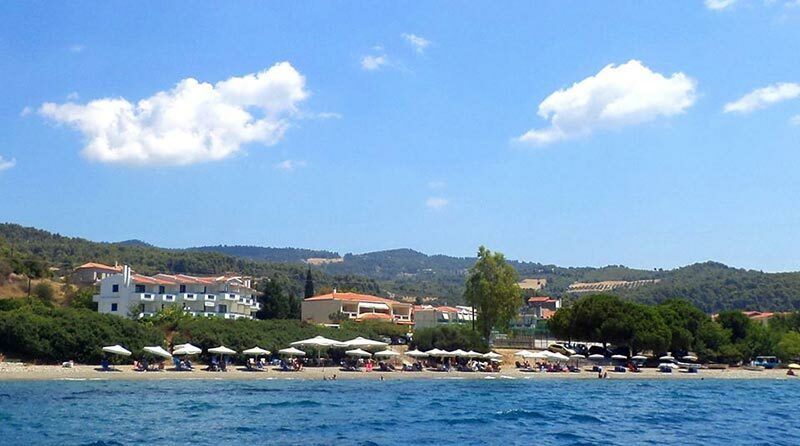 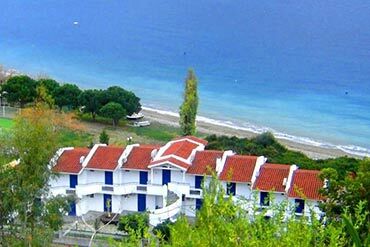 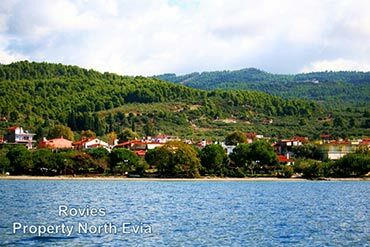 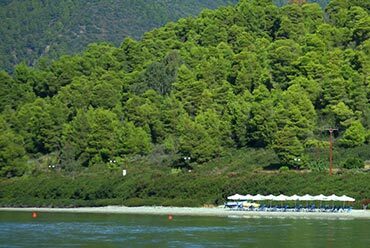 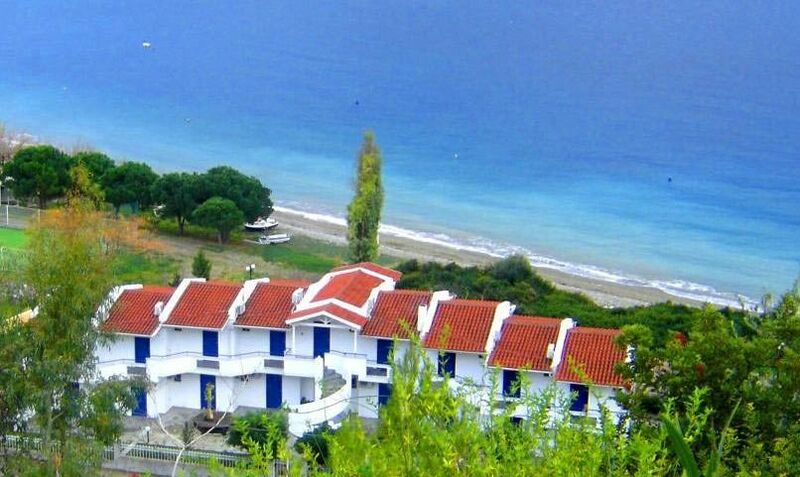 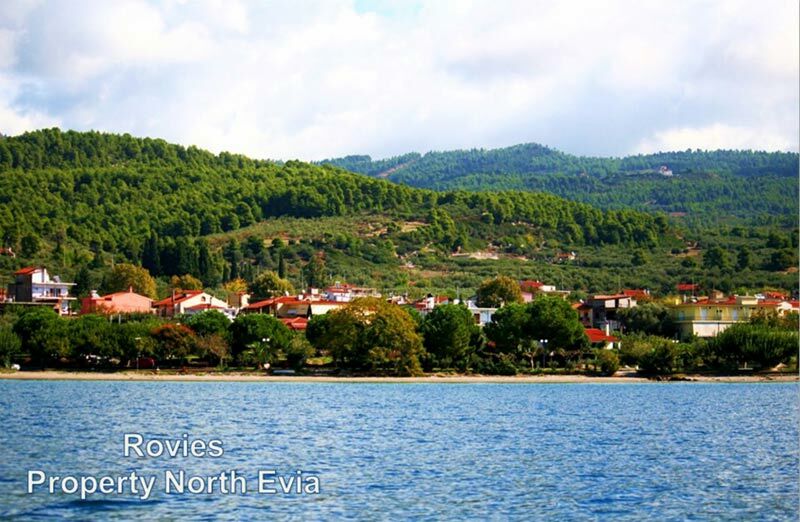 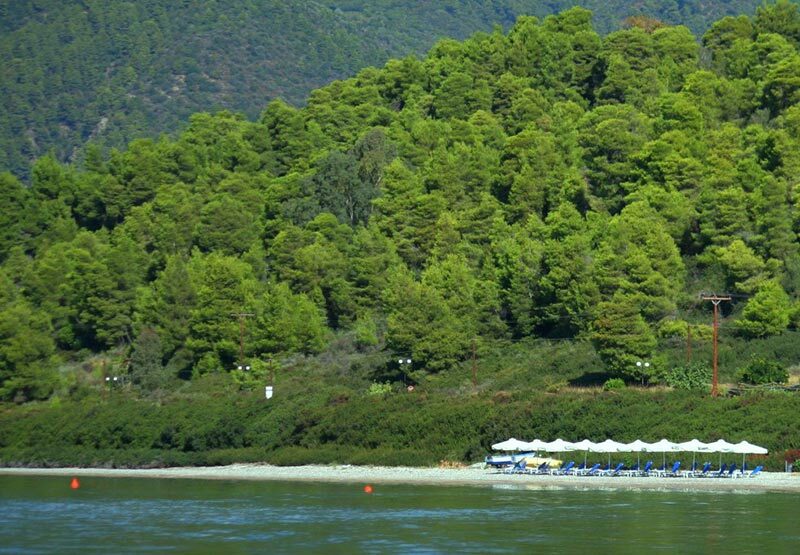 The hotel Agnadi is made on the shores of the North Evia, next to a beautiful clean and serene beach ideal for swimming and water sports. 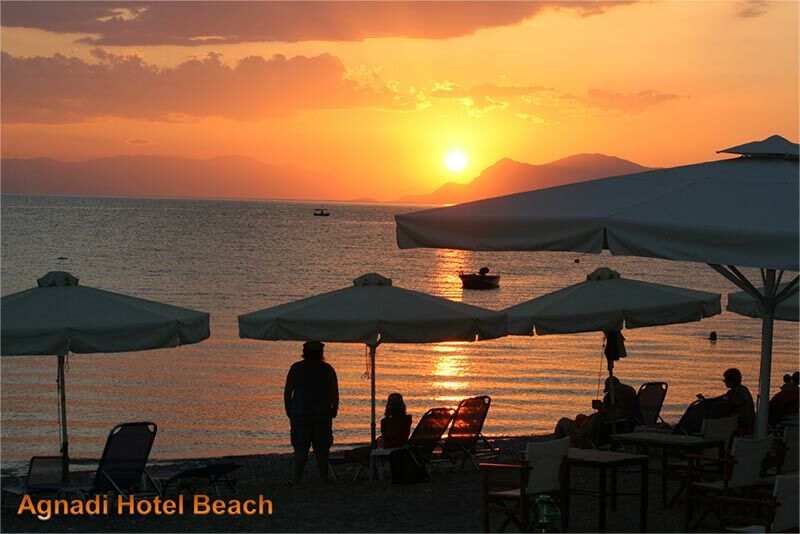 The Hotel has an organized beach with showers, sun beds and umbrellas which are free for hotel guests. 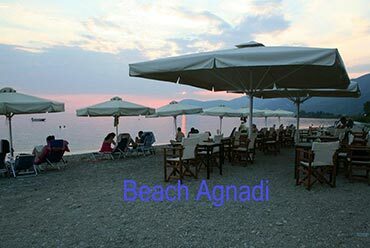 The beach stretches as a natural extension of our hotel and serves the Café- Bar Agnadi, so while you're by the sea you can enjoy juices, ice creams and coffees from the bar. Moreover on the beach there are tables where you can taste the delicious dishes of the restaurant, or at noon after a bath or evening watching the sunset or even at night listening to the sound of waves.